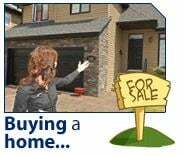 When buying a home in Barrie and Area, we suggest finding a good Barrie Real Estate Agent first. We offer top quality Home Buying Services, Low Real Estate Commissions & FREE Home Buying Tips. Please contact us if you have any questions about buying a home in Barrie or elsewhere in Ontario.